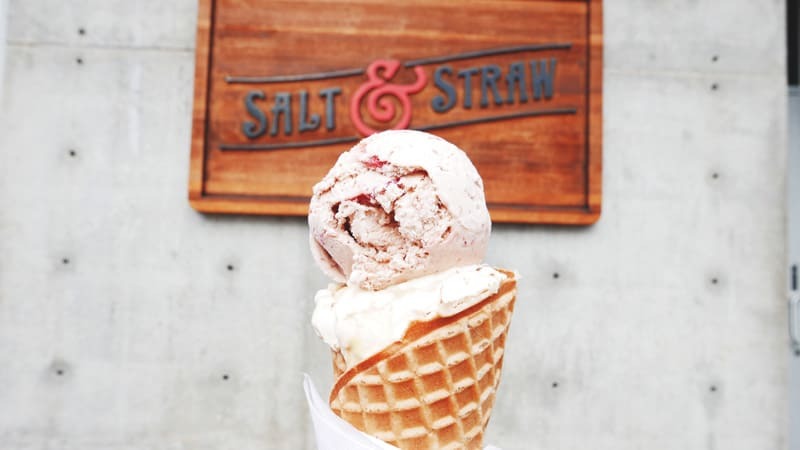 Salt & Straw is a really popular ice cream shop in Portland, Oregon. Those that live in Portlandia will know this. And for us folks in Vancouver, BC probably know this too during our many road trips down South. It is like the Earnest Ice Cream or Rain or Shine. 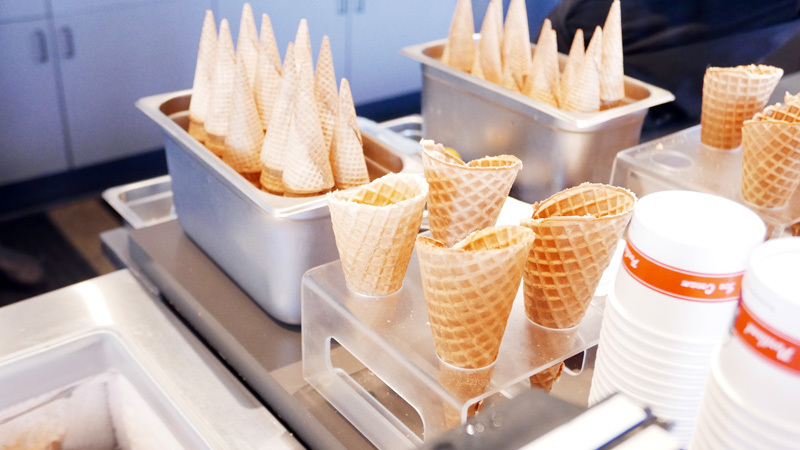 Anyways, Salt & Straw since now have also invade Los Angeles with their rich, creamy “farm to cone” philosophy. 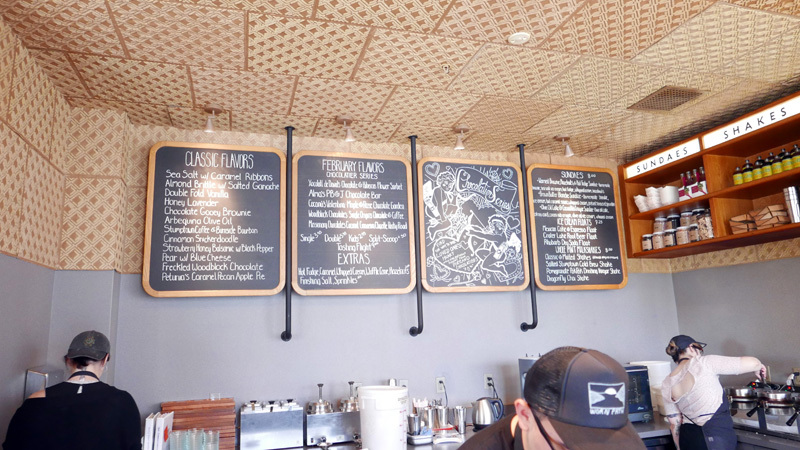 We visited the Salt & Straw location on 3345 SE Division Street – along the same road as Good Coffee, Stumptown Coffee, Pok Pok and a plethora of food trucks. Their flavors are not common as simple vanilla. Though I would argue a tasty scoop of vanilla ice cream is not that common as normcore as fashion blogs. Instead, their “Classic flavors” include Stumptown Coffee & Burnside Bourbon, Pear & Blue Cheese, Strawberry Honey Balsamic with Black Pepper, Almond Brittle with Salted Ganache, Sea Salt with Caramel Ribbons and yes, Double Fold Vanilla. 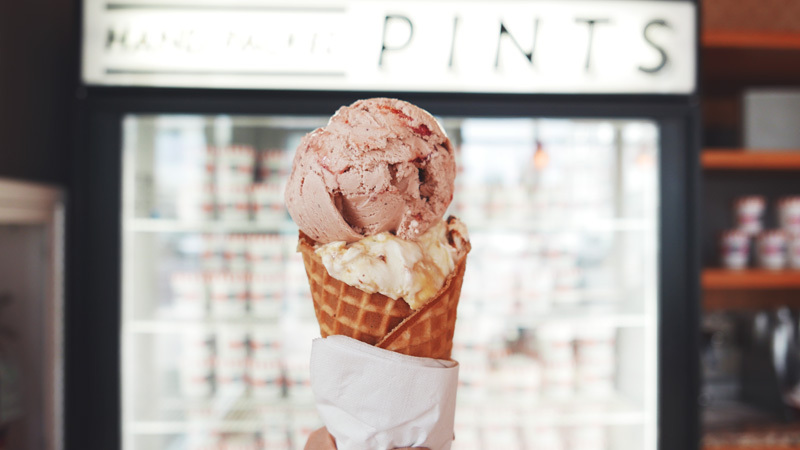 Salt & Straw also offers the very best of seasonal Portland’s farmers’ market ingredients for scoops like Carrot Cake Batter Pralined Hazelnut, Caramel Corn on the Cob, Zucchini Bread with Chocolate Freckles and Green Fennel & Maple (if you are in the month of August). The obligatory ice cream photo with the epitomize ice cream waffle cone Instagram worthy photo is a must. Because how else are you going to prove to Kim and Tyler Malek that you’ve been licking up sweet ice cream cones? And if you didn’t Instagram is, did it really happen?